You really love Fritz. He’s your best feline friend and he brings much joy to your life. That’s until he got roughed up by the local neighborhood tomcat and needed an x-ray and stitches. Vets aren’t cheap, and the whole procedure cost you an arm and a leg. So you probably regret not having pet insurance. If you’ve ever wondered ‘is pet insurance worth it’, please read on to find 5 facts to help you decide. If you’re a pet owner, illness and injury are unfortunately part of the deal. Improved knowledge has led to good nutrition and vaccinations. As a result, pets are living much longer than ever before. Unfortunately, along with these benefits is the fact: many pets now suffer from diseases associated with old age, such as cancer. Treatment has also become more sophisticated, and therefore more expensive. In terms of your budget, an incident involving your pet can wreak havoc on your financial goals. 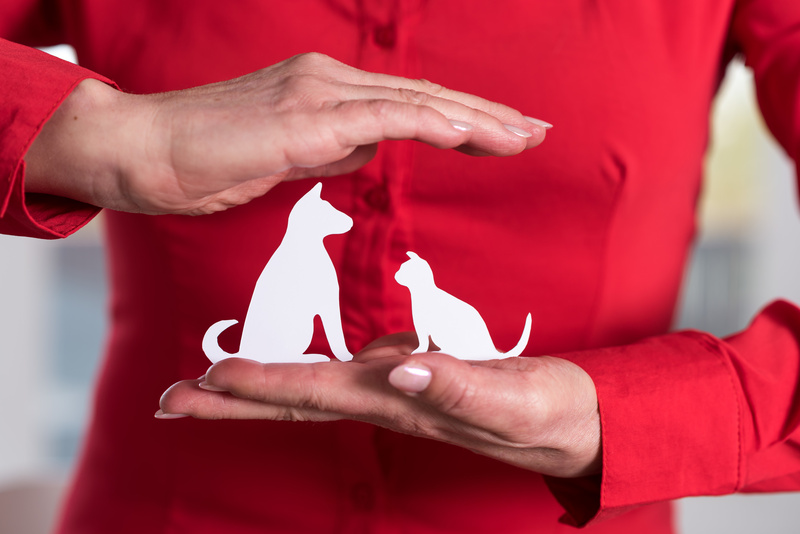 Just like other forms of insurance, pet health insurance proves beneficial when you need it. It’s likely a pet will get injured during a time, the weekend for instance, when vets aren’t open. In this case, you may have to pay extra for an after-hours call out or an overnight stay in an emergency hospital. In an effort to decide whether to agree to the pet insurance cost, there are a few things to consider. Firstly, remember, it’s not uncommon for pet health insurance to cover up to 90% of the costs involved in the medical care. When it comes to emergency care, this can be a literal lifesaver for both your finances and the well-being of your pooch. Reports show that pet owners with pet insurance are more likely to seek medical care for their pets than those without. For those pets with special needs or requirements, pet medical insurance is definitely worth the investment. You should never have to choose between a sick animal and a pile of debt. And you should never have to make the heart-breaking decision to elect for ‘economic euthanasia’. Unlike human insurance, which is a tangle of plans and complex choices, pet insurance ratings are relatively simple. Policies are straightforward and options are easy to compare here. No-commitment quotes are accessible online, making shopping for pet insurance a lot more stress-free than the hunt for human insurance. Along with this, premiums are often much lower than you expect. If your pet is healthy or young, you can get coverage for less than the cost of one meal out a month. This cost is nothing when compared to the peace of mind you get from knowing your pet can access the help it needs. You can avoid the ‘out of network’ annoyances, because vets don’t have to accept your plan. Since you pay for the cost out of pocket and then submit a claim you are not liable to find a certain vet. This means you can choose the best pet insurance for cats, for instance, and move forward to any appropriate vets from there. As long as your vet is licensed, any eligible expenses should be covered. Just ensure you have a copy of your vet’s invoice and get them to fill out the claim form. Therefore, you needn’t worry about which vet you access, you have the freedom to choose. Owning a pet is not cheap. Although there are ways to bring down the cost of general pet ownership, medical costs will always be high. Compared to the cost of one late-night animal ER visit, for example, the deductibles on most are relatively affordable. If there’s a worst case scenario and your pet is seriously injured, you could wind up paying at least the cost of the deductible in any case. But with pet medical insurance, you can access the extra care your pet so desperately needs. You have the option of selecting an insurance covering a wide array of treatment options. This means, if and when the time comes to try something different or new for your pet’s health, your decision can be made without hesitation. An example of this is a pet who has a sudden brain tumor needing immediate treatment. In this case, pet insurance would cover the costs of specialized radiation treatments that would otherwise be beyond your means. Instead of worrying about what to do and how to go forward, you as a pet parent can take immediate action. The freedom to quickly agree to a complicated treatment plan can be the difference in saving your pet’s life. In the last 10 years, pet insurance has evolved significantly. Today, pet parents have access to a variety of options and plans. Along with this is the option to customize plans to fit unique needs. For example, if your financial situation changes, you’re able to lower the monthly payment for your pet’s insurance. Along with this, if your pet’s health status changes, you can make adjustments that are reversible at a later stage. This allows you to adapt your plan as your needs grow and change. So, what’s stopping you from getting pet insurance for your fur child? It’s estimated that Americans will spend nearly $70 billion on their pets this year. And nearly a quarter of that is on veterinary care. These days, pets undergo sophisticated medical procedures: MRI scans for diagnosis, chemotherapy for cancers and even surgery to extract impacted teeth. If you’re deterred by the pet insurance cost remember that these complex treatments will almost certainly be financially out of reach without pet insurance. Pets hold a very special place in people’s lives, they’re like family members. The last thing owners want is to be forced to cut corners on care, due to finances. While you wait and decide ‘is pet insurance worth it’, your pet could suddenly require a life-saving, costly treatment. In order to be prepared for this, it’s essential to think about the future of your pet’s medical care in a realistic way. So, no time for cat naps check out our online cat information archive to find out more about keeping your pet safe.